You can tell a lot about a place from its public art. On the Kitsap Peninsula, our murals and sculptures tell a story of place, culture, and history, with a little whimsy thrown in for fun. Bremerton celebrates its ties to the U.S. Navy. The Suquamish and Port Gamble S’Klallam tribes showcase world-class carving. and art that’s just plain fun! 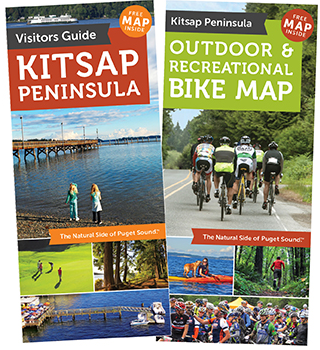 Visit our website to plan a public-art getaway to the Kitsap Peninsula. 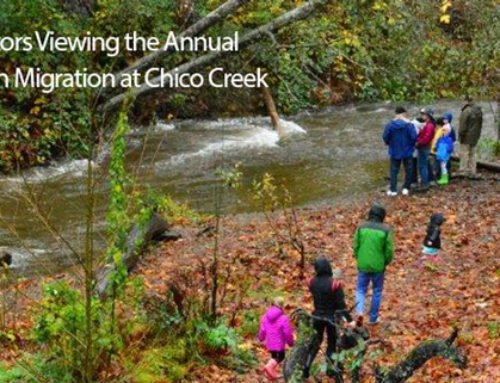 It’s a great way to get to know us. •”The Proud Tradition,” a sculpture of a shipyard worker and admiring boy, is on the Bremerton waterfront at 2nd Street and Washington Avenue. •The Viking mural is on the side of the building housing Boehm’s Chocolates, 18864 Front St. NE, Poulsbo. 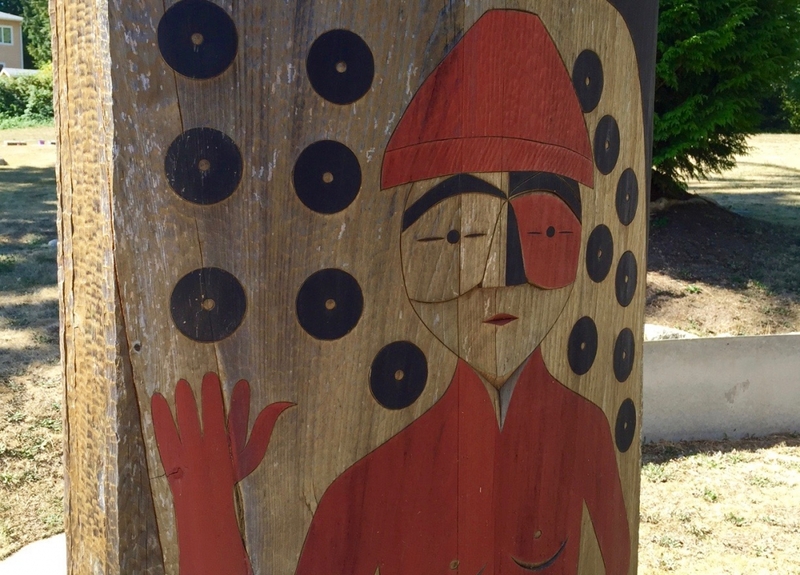 •The carving is part of a story pole detailing Chief Seattle’s life and is located at his gravesite, 7076 NE South St., Suquamish. •The ship mural is adjacent to the children’s play area at Port Orchard Waterfront Park, 933 Bay St.
•The glass seascape by Lisa Stirrett is hanging over the children’s area at the Kingston library, in the Village Green Community Center, 26159 Dulay Road, NE. 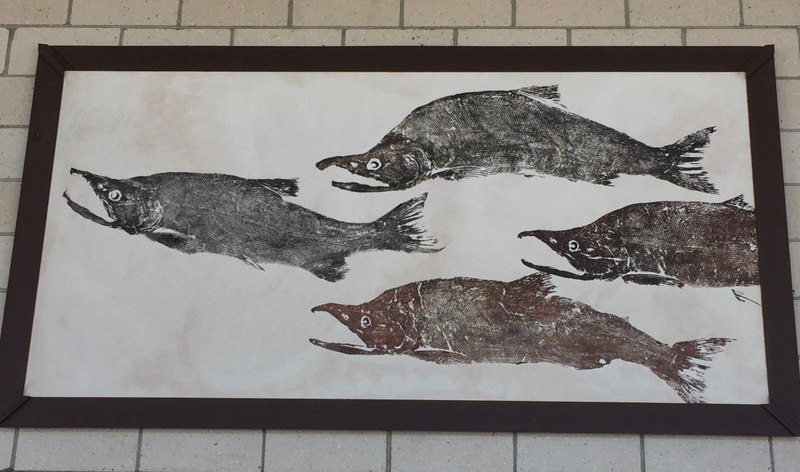 •The fish print is part of a series at the Bremerton ferry terminal, 211 1st St.
•The tribal fisherman is part of a mural under the bridge at Poulsbo’s Fish Park, NW Lindvig Way. 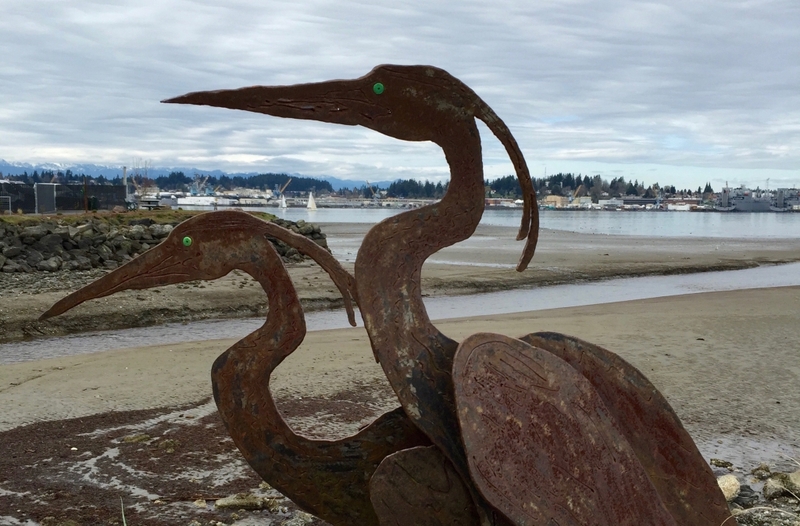 •The stainless steel sculpture, “And a Turning Point was Realized,” is in the northwest courtyard at Bremerton’s city hall, 345 6th St.
•The herons are at Port Orchard’s Etta Turner Park, near the new pedestrian bridge at the corner of Bay Street and Bethel Avenue. •The sidewalk mosaic is at The Waypoint at Highway 305 and Winslow Way, near the Bainbridge Island ferry terminal. 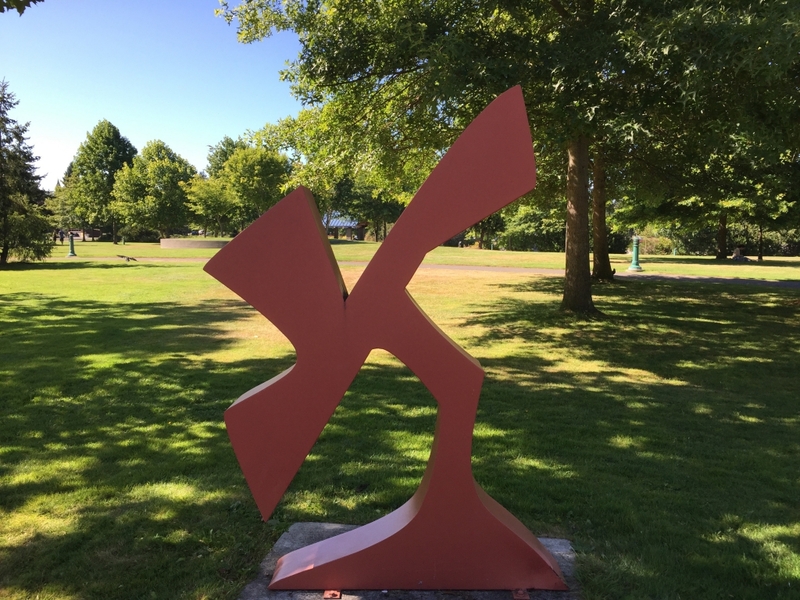 •The orange sculpture is part of a trio of abstract figures at Bremerton’s Evergreen Rotary Park, 1500 Park Ave.